One of the practice fields at the Union's youth academy at YSC Sports in Wayne. Ryan Mooney, a 10-year veteran of the U.S. Soccer Federation who most recently held the lofty title of “chief soccer officer,” is leaving the governing body to help run a new sports business venture formed by Union minority owner Richie Graham. The venture, called Playmakers Management Group, has been formed to consolidate a group of sports-related projects Graham works with under the umbrella of the private equity investment firm where he has made his money. Those projects include a sports medicine entity that has treated players from the NBA, NFL and international sports (including tennis star Andy Murray); and a soon-to-launch marketing agency that aims to connect brands with American soccer entities as interest grows in the sport. Other notable employees in the venture include former Adidas soccer executive John Parker (who helped found the American Outlaws chapter in his native Atlanta) and former Under Armour global creative director Mark Gonzalez. One of the projects in Richie Graham's venture is launching a creative agency that aims to connect brands with American soccer fans as interest grows in the sport between now and 2026. Playmakers will also be a vehicle for Graham’s investment in the Union, and the team’s youth academy and high school in Wayne that Graham has helped bankroll since its inception. Mooney’s high rank at U.S. Soccer wasn’t just ceremonial. He played a big role in the hiring of U.S. men’s national team general manager Earnie Stewart and head coach Gregg Berhalter, and was involved in the ongoing search for a women’s national team GM. Previously, he worked on expanding the Federation’s grassroots-level coaching license program, and he helped launch some sports science initiatives. “A lot of the work that we’ve done at the Federation, understandably, is very macro, very high-level, very removed from that end individual - whether it be a coach, a parent, an athlete, a player, etc.” said Mooney, who has known Graham for a decade. 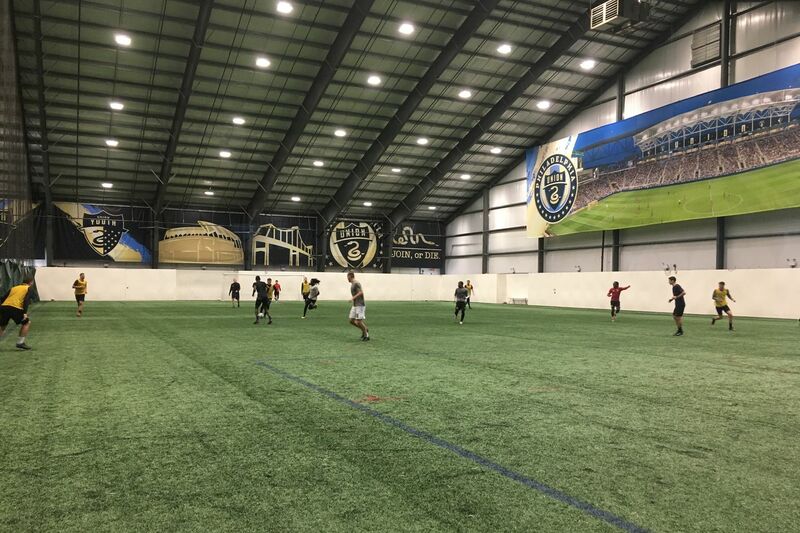 "This is really a chance to be closer to that end result, and help influence, with hopefully some significance, the market of Philadelphia - what that means for soccer there, and what it means ultimately for our efforts whether they be national or international beyond that point. Mooney’s new job will include some involvement with the Union, though he won’t officially be in their hierarchy. He’ll be around, though, to offer advice and connections to sporting director Ernst Tanner, manager Jim Curtin and academy director Tommy Wilson. I asked Ryan Mooney what it will be like to move from the USSF to the club side of American soccer, especially given U.S. Soccer's reputation for top-down decision making that has annoyed some of the entities on the receiving end.